In this section of the tutorial we are going to cover one of the important aspects, regarding the features of your CMS Made Simple, namely the topic of how to add new pages in it. Menu Text – represents the page in the navigation. Parent – select an existing content page to be the parent page as a method of navigation. Show in Menu – whether or not this page to be made visible in the navigation. Description – a brief overview of the content of the page, which can be used for search engine optimization or navigation. Design – choose a stylesheet for the page you are about to create from the drop-down menu. Template – the section where you can associate a specific template with the page. Write down Page Alias, which can be used as an alternative to the page UI in a way uniquely identifying it and that is why it must be unique across every page. Active – thick to display the page. Whether or not to Use HTTPS for this page. Cacheable – whether or not the content of this particular page have to be cached. 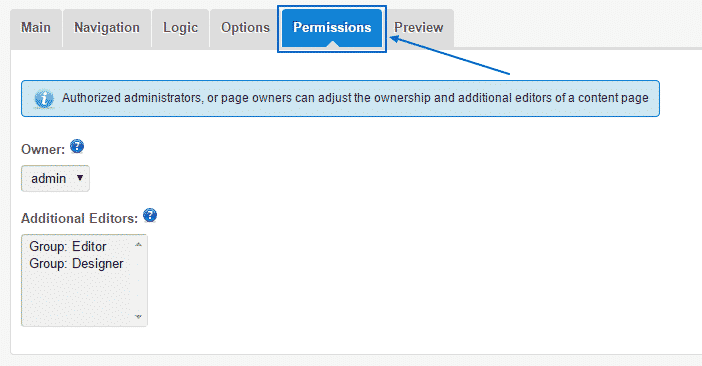 Owner – where you can select the owner of the newly created content page, which can be useful if you want to give access to it to an editor. Additional Editors – here, you can specify the Admin users, who you want to give the privilege of editing the content on this page.